Brushing your teeth on a regular basis is one of the best things you can do for your smile. Healthy teeth make a beautiful smile. Brushing can also help with gum health and even keep your breath smelling sweet. Steven T. Cutbirth in Waco TX wants all of his patients to brush and floss twice a day. And yet, for some of us, brushing can be a real chore – one that gets in the way of a good time. Hopefully you don’t think of brushing in such dire terms, but it happens. Finally, any good habit needs constant improving. You can improve your habit of brushing your teeth by working on proper form, or by adding a little bit of time. Work toward the two minute mark; any longer and it may start to cause damage. 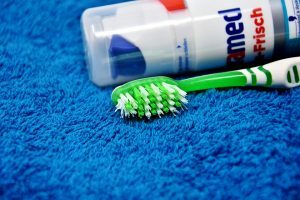 You can also make sure you are using a soft or medium brush, and that you are using fluoride toothpaste to keep your teeth healthy. Steven T. Cutbirth DDS in Waco TX offers general and cosmetic dentistry. Schedule your next appointment with us today.